Do you remember when New York’s Museum of Modern Art hung an Olivetti typewriter on a gallery wall and called it art? Before that, they did the same thing with a Cisitalia sportscar. 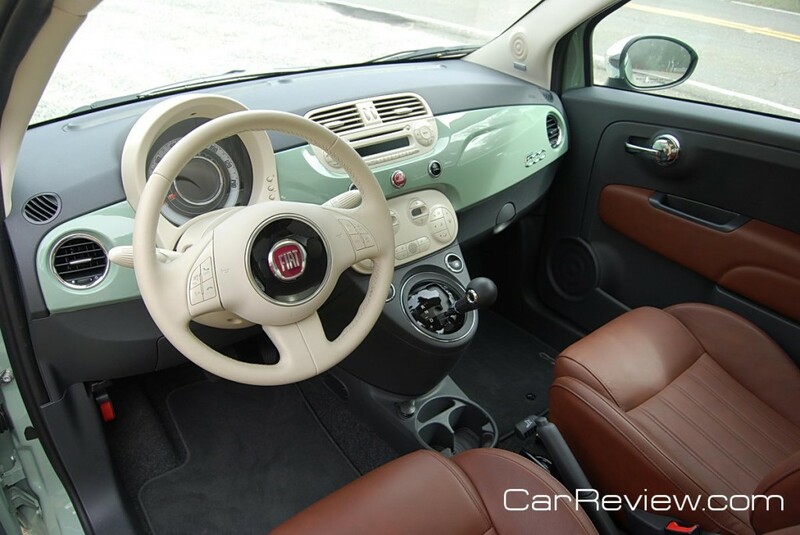 Now they can add the Fiat 500 to their collection of Italian appliances that transcend function to achieve lasting beauty. This diminutive sedan, with which Chrysler hopes to revive the Fiat nameplate in America, is more fetching than a MINI, more stable than a Smart, and more practical than any motorcycle. If you’re hunting down a small package to transport two in comfort or four in pain, the Fiat 500 has got to top your shopping list. The 500 is so small and nimble that a pair of them could square dance in your living room. 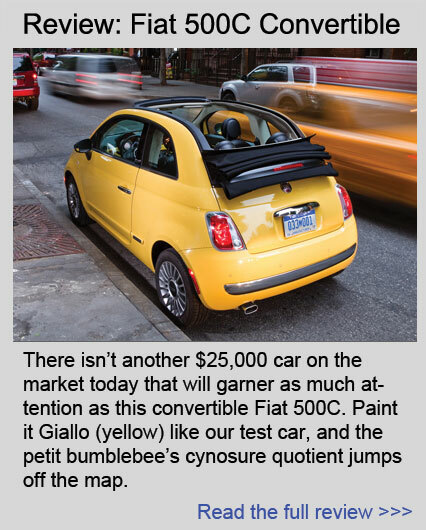 In a world of ton-and-a-half compacts, two ton mid-size sedans, and three ton SUVs, the Fiat 500 weighs just 2,400 pounds. That lack of bulk pays dividends at the gas pump because the 500 posts stellar MPG figures (27 City/34 Highway). After 500 miles of mixed city-freeway running we averaged 31 MPG. The hood, no bigger than a good size suitcase, opens with a prop rod to reveal Fiat’s 1400cc, in line, four cylinder motor. Despite the car’s lightness, this 101hp engine is not quite up to the task of motivating the 500 with any margin of confidence. All passing maneuvers must be calculated well in advance, and assisted by judicious use of the tap-stick automatic gearbox. Although you’ve got 6 speeds in the automatic (as opposed to 5 in the manual), you’re constantly faced with rowing the sequential manumatic through the gears just to keep up with traffic. Clearly, an uprated engine is the answer. 2 liters of displacement would greatly improve drivability of the 500, although at the expense of increased gas consumption. 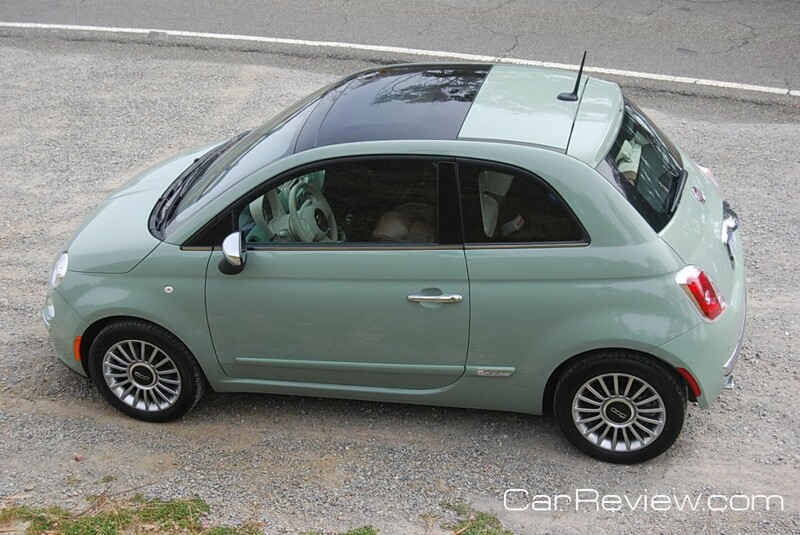 Look for a more powerful Abarth version of the 500 in the near future.